In the small farming community of Fremont, Nebraska, townspeople eagerly welcomed an acclaimed doctor as the first full-time oncologist at their new cancer treatment center – but the fanfare soon turned into a nightmare. During chemotherapy treatments, 857 patients who were already waging the fights of their lives against cancer, were inexplicably exposed to the deadly, blood-borne hepatitis C virus. At least ninety-nine of them contracted the lethal illness. 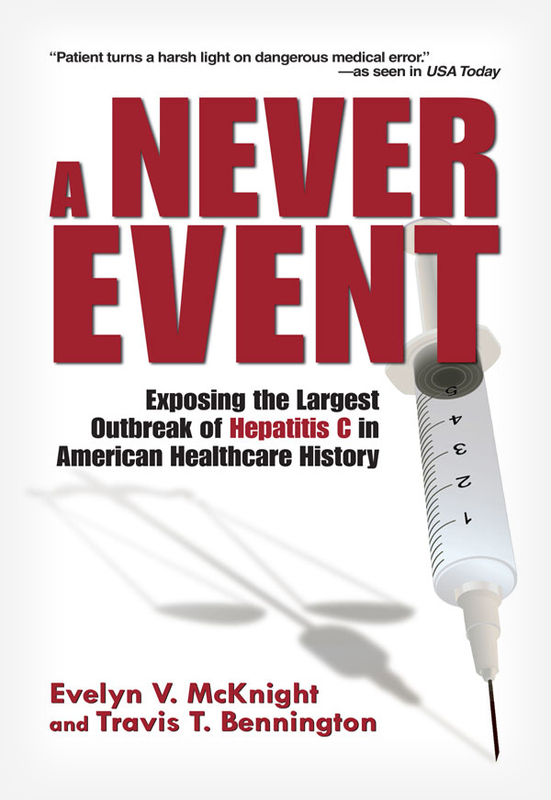 The horror was unprecedented – this was the largest healthcare-trannsmitted outbreak of hepatitis C in American history. “A Never Event” – a term used to describe a preventable medical tragedy – is a searing story of recklessness, deception and betrayal. It’s part mystery, part courtroom drama. Written by a survivor of the tragedy and an attorney who represented many of the victims. A Never Event is a wake-up call to medical and legal communities nationwide. You can purchase the book online from Smashwords in multiple eBook formats at http://www.amazon.com/Never-Event-Evelyn-McKnight-ebook/dp/B001UE7D82.